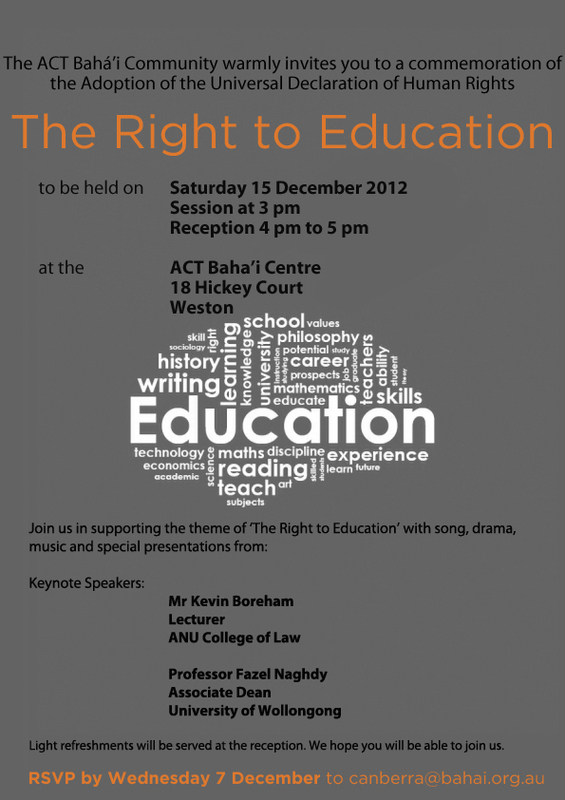 Every year the Baha’is mark Human Rights Day with invited guest speakers who address a particular aspect of human rights. This year the focus is on Education, a very special right that ensures all have equal access to knowledge and skills for the edification of the human race and ultimately the advancement of civilization. 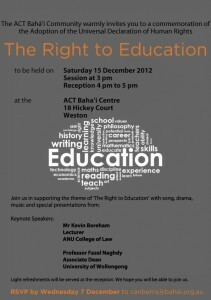 Please come and invite your friends to this important occasion on 15th December at the Baha’i Centre.